(Very belated!) 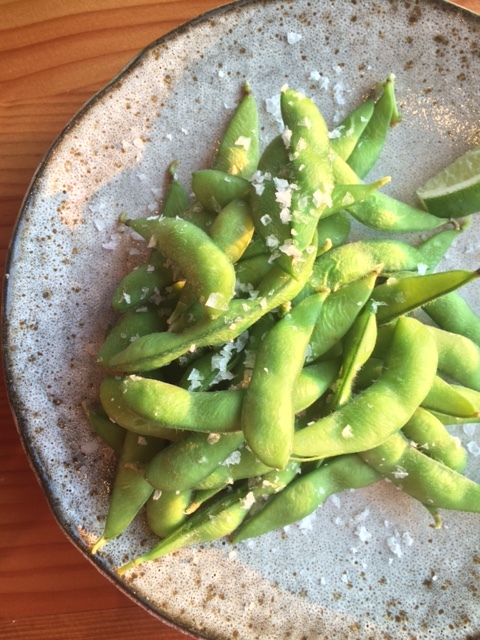 Review: Azumi in Harbor East – RLB Ink. 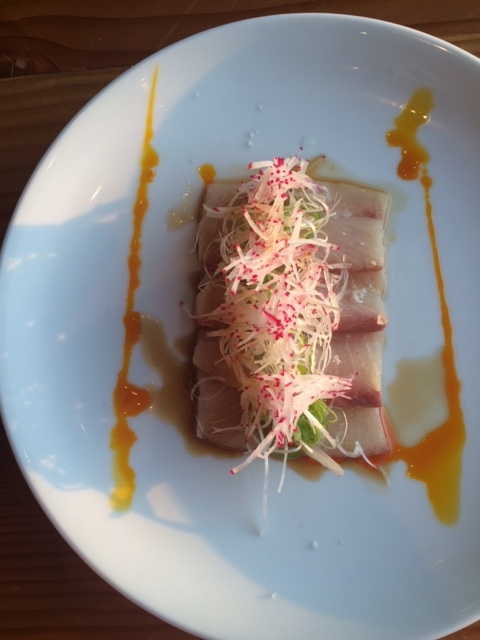 You’ve been to Azumi in Harbor East, right? 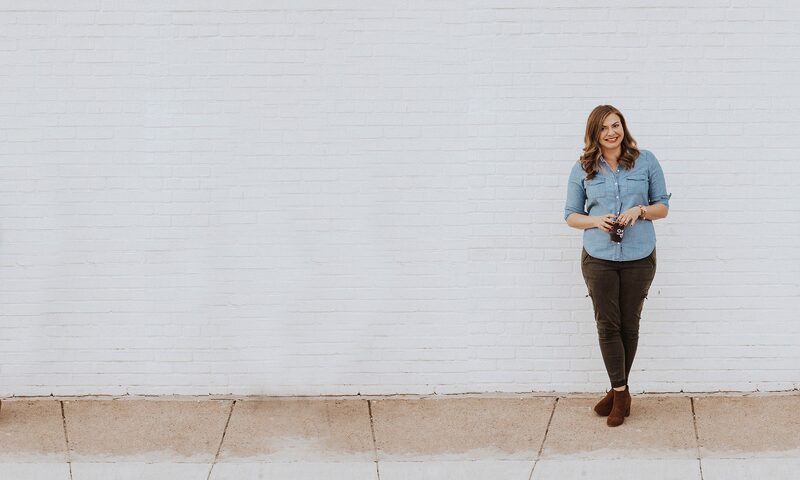 You’ll want to after reading this, I promise. My friend, Tiffany, is the beverage director/sake sommelier and invited* me and Steve to dinner. We sat by the window to soak in the water views and allowed her to guide us through the menu. As we usually do, we started with drinks. It only seemed natural to defer to Tiffany. She set me up with an amazing cocktail made with pear nectar that was so light and delicious. Of course, we also had to have a bottle of sake. This one was bright, crisp, and perfect for a warm day. We went pretty crazy on the menu. We started with the sawagani crabs, which we’re recommended to everyone who goes to Azumi. 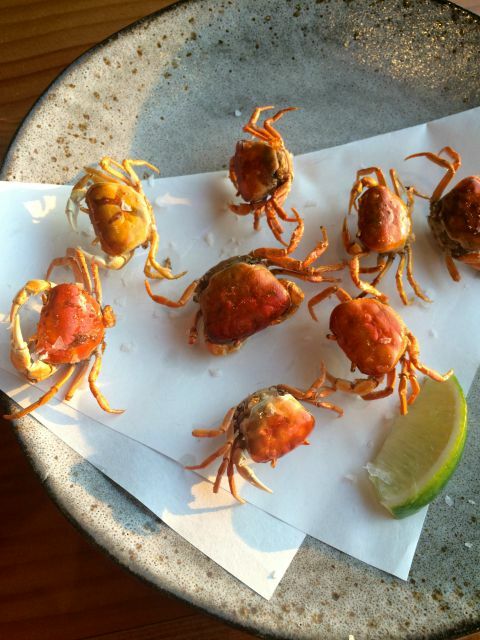 They’re itty bitty freshwater crabs from the Miyazaki River in Japan with a hint of sea salt and lime. You pop them into your mouth like popcorn; they’re perfectly light and crunchy. They’re flown in from Japan every few days, so they’re really fresh. I love grilled seafood, so we also sampled the grilled octopus (ichimi tamari, myoga, cherry tomatoes, mitsuba, achiote & tarragon oil, shiso, chives). It was chewy, exactly as I like it. The king crab legs were good but not our favorite and the octopus and pink grapefruit was deliciously acidic. 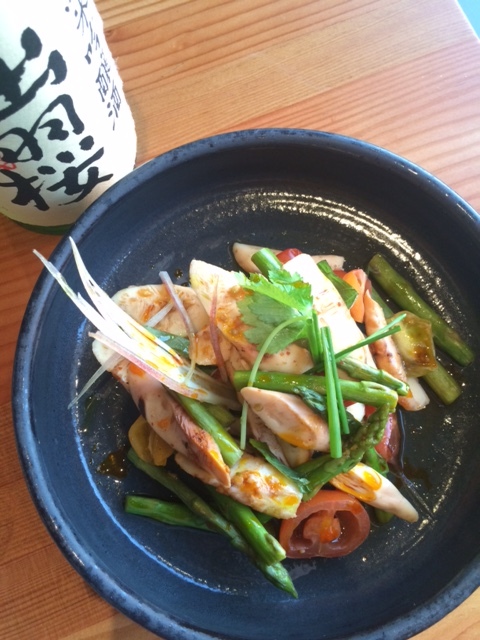 The yellowtail jalepeno with yuzu garlic soy, achiote oil, and Tokyo leek was a favorite for both of us. We had to try sushi and chose the Maryland roll (snow crab avocado topped with spicy scallop and shrimp aioli, crispy satsumaimo) and a cod roll. Both were huge rolls that are really filling. Dessert was a sampling of basically every dessert that Azumi offers and was heaven on a plate. I particularly love the katen, which is milk infused with fresh lychee, agar agar, Tahitian vanilla bean, and raspberry sorbet. I love that the pastry chef is Greek making French pastries in a Japanese restaurant. Expect the unexpected. I really loved Pabu, Michael Mina’s Japanese restaurant that was previously in Azumi’s space, but the team from Ouzo Bay really kicked it up a notch with Azumi. The interior takes better advantage of the harbor views and the menu is really exciting and approachable. 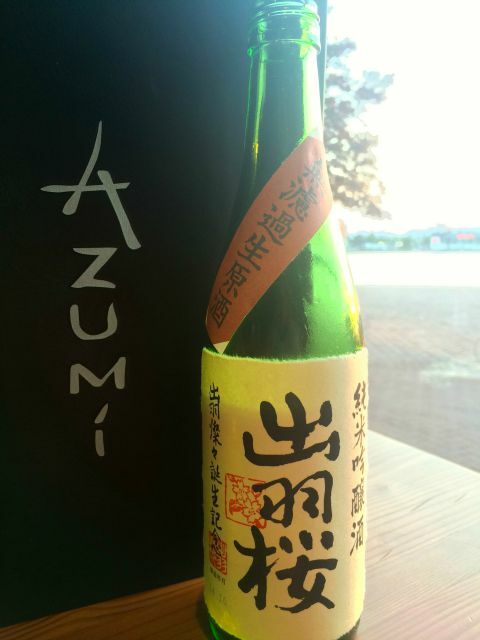 With Tiffany at the helm of the drinks (and incredibly knowledgable about the menu, as well), Azumi can’t be missed. *Tiffany graciously covered the cost of the meal and we thanked the team with gratuity.